Increase your employees’ safety and productivity through our comprehensive Work at Height, Safety Harness, PASMA, First Aid, ladder training and IPAF courses. Able to booked instantly through our 24/7 course selector and booking form, our PASMA, IPAF along with other Health and Safety training courses will ensure your business adheres to all current UK and European safety legislation. The Health and Safety at Work Act 1974 requires employers to provide information, instruction, training and supervision as is necessary to ensure, so far as is reasonably practicable, the health and safety at work of your employees. Directors, managers, supervisors and employees need to be aware of their responsibilities and how to control hazards present in the workplace. We provide a range of courses to enable organisations to meet their legal requirements and ensure safety in their business. 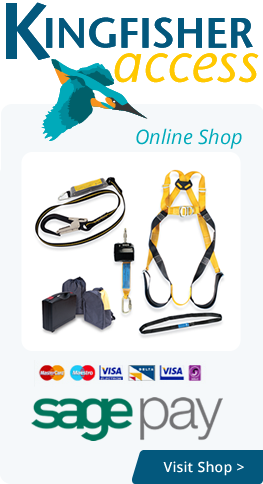 Highly experienced, our expert instructors and trainers have decades of technical knowledge and practical experience and will train your employees to use all work at height, safety harness and first aid equipment efficiently and safely. We work across Kent, London, Essex and the Home Counties, so book your place today! Book your Work at Height training now! Found the course you and your employees need? Visit our 24/7 course selector and booking section here, fill out your details and book your place today! Busy during the week? No problem! We understand the constraints of businesses; which is why our IPAF, PASMA, ladder and safety training courses are run on weekdays, evenings, overnight and at weekends to ensure minimal disruption to your business. If this is something you require, please call the training department or email to discuss your requirements and find out more details. If you've lost your IPAF PAL card, or it's been stolen, call us now! We will identify you through your name and certificate number and replace it within just a few days. If you need proof of your training, we can sort that for you too. With training centres across Essex, London and the West Midlands, we are ideally located to provide IPAF, PASMA, Safety Harness, Ladder and Working at Height training to clients throughout the region. So if your company is based in Bromley, Dartford, Canterbury, Hornchurch, Stevenage, Orpington, Rochester, Southampton, Tunbridge Wells, Sevenoaks, Chelmsford, Nottingham, Ashford, Basildon, Birmingham, Medway, Colchester or anywhere else across Essex, London or the West Midlands, call the training experts at Kingfisher Access today on 0333 666 1881.